I went to college for the first time last September but I am starting again this September. Blah blah blah! You have heard this story all before. You know why etc. Basically, this means that I become a fresher again this September. However, this time, I am armed with my previous experience. You need a lot when you go to college. A lot more than you ever did at school. The teachers aren't here to look out for you anymore (I mean, they still are but they are not going to be reminding you of all the things you need to bring) if you don't bring a planner or diary- that's your own call! To stop you making some of the same mistakes as I did, I have made you a comprehensive list of all the essentials you will need at college. I highly recommend you take all 31 of them with you because trust me on this one guys... Your probably gonna need them! 1. Book bag- trust me no matter how big you think your bag is, ya gonna need another bag. 8. A4 Document holder- these files are super cheap and are great for holding random sheets of paper you don't want to loose. 12. A laptop- so then you can work anywhere on campus! Whoopee! 16. Paracetamol- just in case people in college really do start to give you a headache. Trust me it's highly possible. 20. Notebook- for the random but *maybe* important notes you need to remember about something. Failing that it's a great doodle pad when you are bored in a free. 22. Spotify or some good playlists- because girl you got work to do! 27. Your student ID card- because Duh!!!! 28. Fine liners- because ain't nobody got time for boring revision notes. 29. A4 Refill Pads- because if you don't need some paper there will be someone in your class that will. It's always nice to have some spare! 30. The wifi password- because how do you seriously think I get through the day without it. 31. Sticky labels- perfect for sticking on notebooks and binders so you never forget which class you need them for. You can even write the classroom, day you have that subject on and what teacher you have for that subject on there too as a quick point of reference. I would love to sit here and tell you that you only need a notebook and a pen but let's be frank you need a lot more. If you are starting college or sixth form in September, I hope you found this useful. 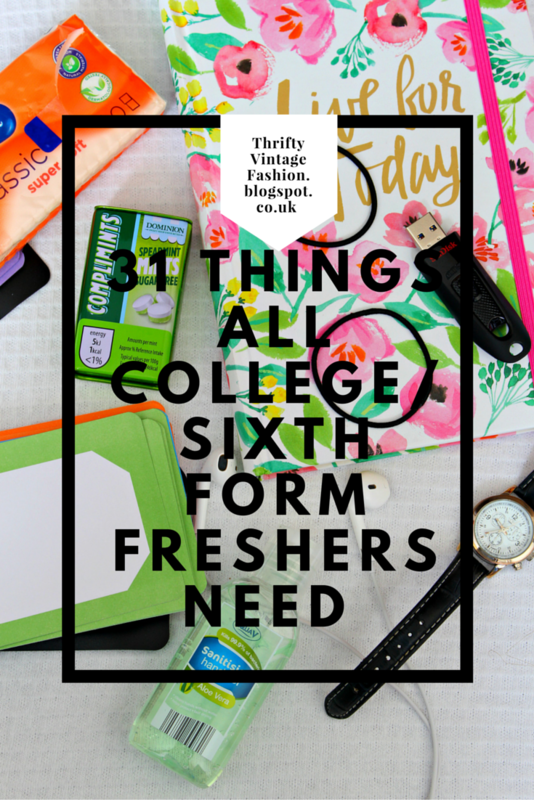 If you have already been through being a college fresher what have I missed off the list, please let me know in the comments below! 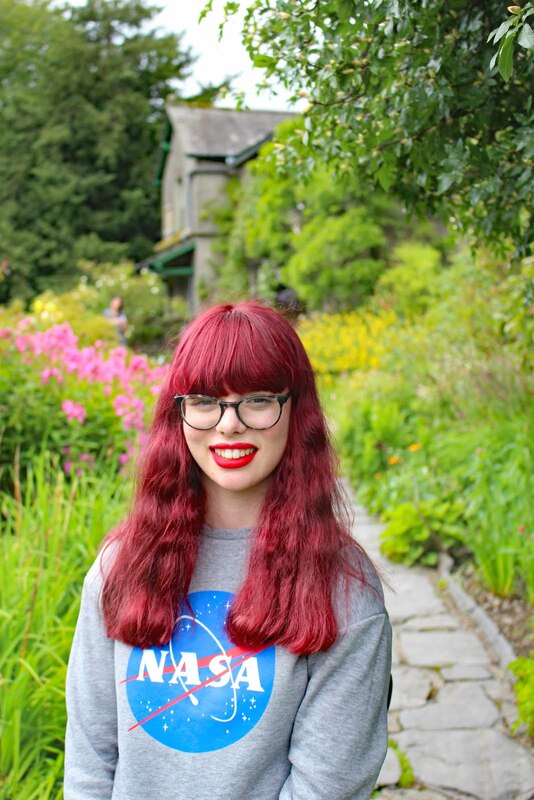 I loved this blog post! I'm starting Sixth Form in September and feel like a fish out of water like I did when starting high school, this has definitely settled some of my nerves. A good spotify playlist is a total must! I feel like I can't even get out of bed at uni unless I have some beyonce blasting in my ears haha! You're totally right with everything on this list. I'm (rather sadly) past college & uni now but I'll always love the excitement and promise that the start of a new academic year holds. 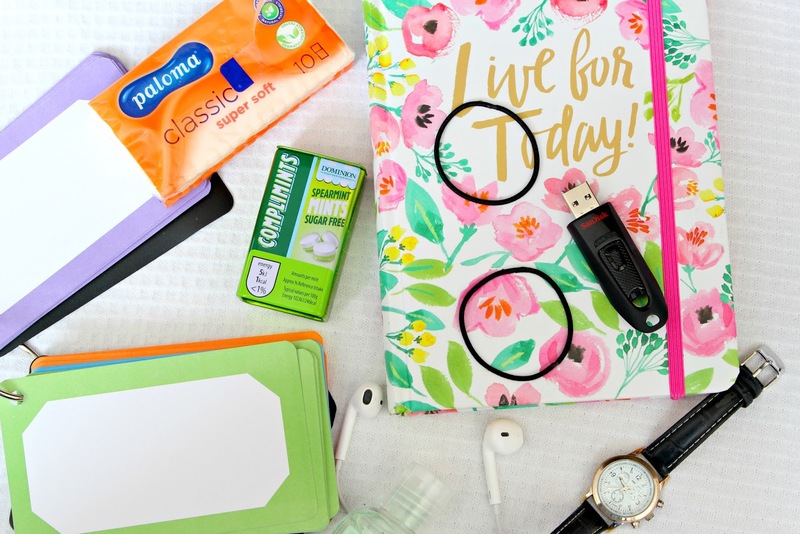 Toootally with you on the USB front, I still carry one around in my handbag & it's always useful! I'm going into my second year and I'm still unprepared. This list is super handy. I'm going into 6th form in a couple of weeks so I'll be putting all of this into my bag! This was super helpful to read, it also remained me I need to start getting my bag ready for when I go back and now (hopefully) I won't forget anything. This is so useful Nicole! Some of these should be a no-brainer but we still forget them! I read this when you published it and now I am using it as a checklist because this is so helpful for packing my bag!